Fernando will bring all the necessary ingredients, along with a glass or two of wine to your kitchen, to help you and your friends or family improve your culinary abilities. "Quite simply put, Stovell's is a jolly good place to go eat" (Jay Rayner, The Observer) Bring the experience of multi-award-winning restaurant, Stovell’s, to your home, with Fernando Stovell’s ‘chef in your kitchen’ experience. What easier way to perfect your cookery skills than bringing experienced chef patron Fernando Stovell to your kitchen to share his wealth of experience? 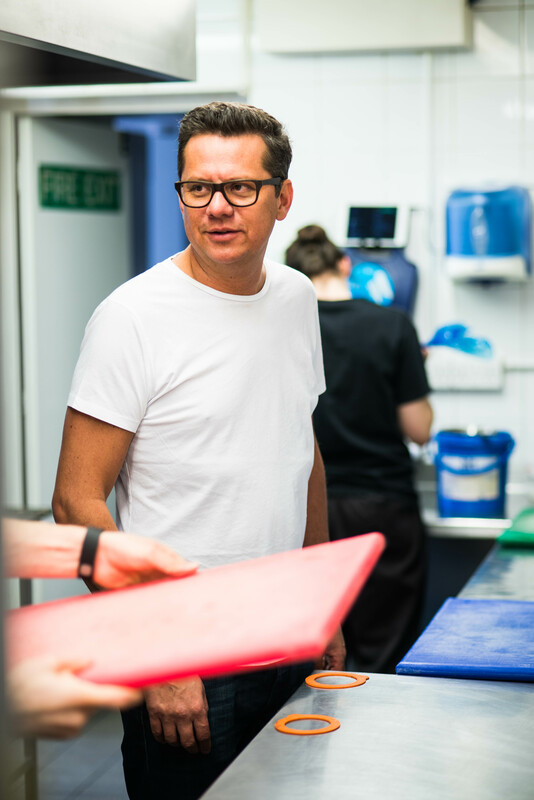 For two hours, Fernando will share the tips and tricks of the trade that he’s learned working in restaurants such as the Two Michelin-starred Capital Hotel and as private chef for the Her Majesty The Queen during her 2010 state visit to the Middle East, before opening award-winning Stovell’s. The package is available for £120 per person (minimum group of four). Address must be agreed in advance and must be within One hours drive of Chobham. Please call or email Tami on enquiries@stovells.com or 01276 858000 to find out more. Vouchers available upon request.